Is it time to end the TIGER program? On March 25th, the country’s newest express toll lanes opened to traffic on I-75 in Broward County, FL. They extend from I-595 on the north end to NW 138th St. in Miami-Dade County in the south, and are part of an emerging three-county express lanes network. 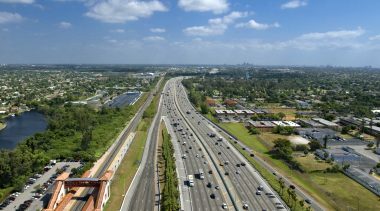 Currently under construction as parts of this network are express lanes on SR 826 (Palmetto Expressway) and the Homestead Extension of Florida’s Turnpike, both in Miami-Dade County. Construction is also under way to extend the existing express lanes on I-95 northward into Palm Beach County, reaching Delray Beach by mid-2023. In Georgia, two more ETL projects are expected to open this year in metro Atlanta: the I-75/I-575 lanes in the northwest and a 10-mile extension of the ETLs on I-85. California: adding ETLs to US 101 and I-280 in San Francisco County. Colorado I-25: an 18-mile project between Monument and Castle Rock, south of Denver, expected to receive federal approvals by summer and to start construction this fall. Maryland I-95: a 16-mile northward extension of the existing ETLs, with construction scheduled to begin in January 2019. North Carolina: ETLs for two additional congested freeways in the Charlotte area, besides the project nearing completion on I-77. The first would be on US 74 from uptown Charlotte to the I-485 beltway; the second project, on I-485 itself, would go from US 74 to I-77. Oregon: adding ETLs to portions of I-5 and I-205 in the Portland metro area. Generally, the first ETL project in a metro area is controversial, with critics complaining either that the lanes will be ineffective because hardly anyone will pay ridiculously high tolls or that they will be ineffective because they will get so overloaded that they will be as congested as the regular lanes. 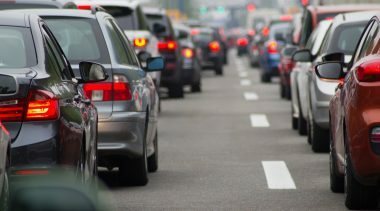 For example, a County Supervisor in San Francisco objects to their ETL plans, alleging that the lanes would create traffic woes that would drive cars off the freeway into surrounding neighborhoods. Similar objections continue to be voiced in Charlotte. The CEO of a local chamber of commerce says the I-77 project “will only cause congestion,” despite adding new capacity to this congested freeway. And NC state Sen. Jeff Tarte says that an express lane benefits only those who pay to use it, not drivers in the existing lanes (despite the added lane capacity). The I-77 project remains controversial, with the state DOT now reviewing options for what to do when these P3 express lanes are completed late this year. One populist option is to buy out the 50-year concession and open the ETLs as general-purpose lanes. In addition to being unaffordable, this would provide only near-term congestion relief, in the absence of variable tolling that would ensure greater peak-period vehicle throughput in the express lanes than in the general-purpose lanes in future years. Moreover, the environmental impact report would have to be done over, since the analysis in the current environmental study was based on priced ETLs, not general-purpose lanes. An even greater problem afflicts California’s ETLs, most of which are conversions of HOV lanes and are currently allowing free passage for HOV-2 vehicles. In addition, under the state’s clean-air policies, plug-in hybrids and electric, natural gas, and hydrogen fuel cell vehicles are also exempted from tolls in HOV and express toll lanes. 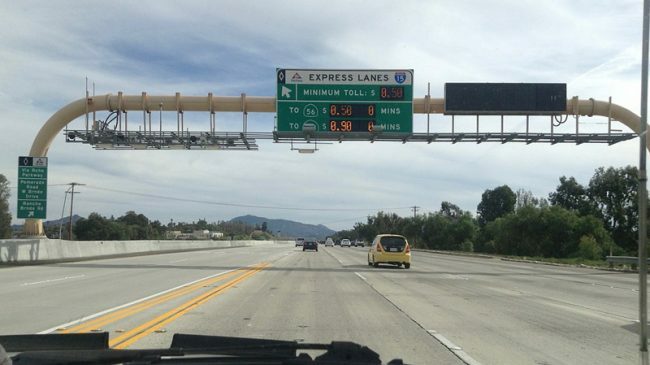 In both the San Jose area and on I-110 (Harbor Freeway) in Los Angeles, these policies so overload the express lanes during peak periods that current policy is to forbid entry to toll-paying vehicles once speed and throughput decrease seriously. Last fiscal year, LA Metro operated the I-110 lanes in “HOV-only” mode for 352 peak-period hours, nearly one hour per day. LA Metro also has a major problem with cheaters—drivers who set their transponder to “carpool” when they are alone in the car, to avoid paying the toll. Metro estimates that 25-30% of drivers in the I-110 ETLs are doing this. Last year this newsletter reported on the ongoing modeling efforts of OECD’s International Transport Forum, which claimed that Lisbon, Portugal could meet all its surface transportation needs via shared mobility, while significantly reducing vehicle emissions—if only all individually owned vehicles were banned. Well, I thought, that’s Europe for you. But now the idea is being promoted here in the USA. A statement called “Shared Mobility Principles for Livable Cities” was posted online in February by a coalition of environmental and transportation groups. It sets forth 10 principles, mostly feel-good ideas about equity and a zero-emission future. It also supports fair user fees, under which “every vehicle and mode should pay their fair share for road use, congestion, pollution, and use of curb space.” But then comes the big one. Principle 10 states that the only autonomous vehicles (AVs) to be allowed in “dense urban areas” should be those operated in shared fleets. Brittany Hunter of the Foundation for Economic Education pointed out in a blog post on March 1st, “It is highly probable that once [AVs] get to the point of mass production, the use of regular cars will be limited naturally . . . . If [conventional vehicles are] not prohibited, mass [AV] adoption is likely to occur regardless, making autonomous vehicles the only real game in town.” Hunter goes on to explain that “If ‘regular’ vehicles are no longer on the roads, prohibiting private ownership of driverless cars would effectively mean banning the private ownership of vehicles altogether.” And that seems to be the point. A transportation planner might argue that the restriction to fleet-only AV operations would apply only to “dense” urban areas. But that would likely be a very slippery slope. Ban privately owned AVs today in the urban core, and tomorrow the same groups will demand that the ban be extended to inner suburbs, and on from there. Hunter noticed an interesting omission from the list of endorsers: Tesla. She noted that Elon Musk has proposed a Tesla Network, under which the owner of a future autonomous Tesla would be able to add the car to the Tesla shared fleet, to be earning money for the owner during those hours of the day or night when the owner was not using it. While I doubt if I would want random strangers using my AV, the extra income might make an autonomous Tesla considerably more affordable to many would-be owners. This is a market-based alternative to the Shared Mobility Principles that would be enforced on unwilling vehicle owners. AVs, per se, will require no such thing. And I doubt if most Americans would stand for being forbidden to own a motor vehicle. In my discussions with trucking industry officials in recent years, I learned that—despite anti-tolls propaganda from affiliated groups such as ATA’s Alliance for Toll-Free Interstates—most of them appreciate the benefits of today’s all-electronic tolling: no need to stop and wait in line at toll plazas, avoiding accidents at said plazas, saving fuel, and the significantly lower cost of collection, compared with 20th century cash tolling. In addition, the fact that large number of trucking fleets use toll roads and increasingly pay electronically via ATA-approved service providers Bestpass and PrePass Plus indicates a coming to terms with existing toll roads. But there is one concern that has not gone away. Trucking officials repeatedly stress that they have no acceptable way to pass along to their customers (shippers of goods) the toll charges incurred. This has always struck me as bizarre, and my only explanation is that it is a conviction developed during the long history of cash tolling. In principle, all-electronic tolling should make it easy to figure out which loads of cargo incurred which toll charges getting from shipper to recipient—but apparently nobody had gone to the trouble of devising a workable way to do this. But a viable answer was unveiled last month. On March 23rd, Bestpass issued a news release headlined, “Bestpass Launches Toll Rebilling for Commercial Fleets.” Bestpass already offered its trucking company customers a single transponder compatible with tolling systems across the country, plus a single itemized monthly invoice—no matter how many different toll roads the company’s fleet may have traversed that month. As explained by CEO John Andrews in the news release, “With Bestpass Rebilling, our customers can now recoup toll costs while radically simplifying their back-office operations.” The release explains that “Bestpass customers will be able to use the Bestpass web portal to designate single vehicles or groups of vehicles that are responsible for incurred toll transactions. They can also create toll statements for their customers on demand, for any time period and with their company logo, to provide supporting documentation so as to ensure they get reimbursed for the relevant toll charges. So it looks to me as if the trucking industry finally has a solution to the problem of being able to pass along toll charges to their customers. To verify that I was interpreting this correctly, I queried Bestpass on this. A spokesman confirmed, emailing me that “Bestpass Rebilling does make it possible to pass along toll charges to a shipper,” and providing a few details of how this would work. In recent decades, during periods when fuel taxes were very high, many trucking companies added “fuel surcharges” to their customer billings, and most customers paid them. That was in part due to the trucking industry making a strong public case that they could not and should not absorb such increased fuel costs. Whether shippers will pay documented toll charges is, of course, a different question. Here is where ATA and other industry organizations can play an important role. Per-mile tolls are very likely going to be part of the replacement of per-gallon fuel taxes in coming decades. So shippers need to be educated that per-mile charges will be part of the cost of moving goods by truck. With itemized toll charges, shippers will know what they are paying for. Last month’s news of an Uber automated vehicle (AV) striking and killing a pedestrian was a tragic development. However, the crash clarified two facts about AV development and AV actors. First, despite its public relations claims, Uber remains a company with very questionable business practices. Uber’s self-driving technology lags its competitors, and its vehicles are not safe to operate on roadways. Second, there are real perils to testing Level 3 and Level 4 AVs on the road, and selling such vehicles to humans is fraught with risk. Uber’s automated vehicle project lags significantly behind industry leader Waymo (part of Google). Before the accident, Uber’s vehicles were having problems driving in construction zones and next to tractor-trailers. Uber drivers have had to intervene far more frequently to steer the car out of trouble than Waymo drivers. Waymo vehicles travel 5,600 miles before the driver has had to take control. Uber vehicles have averaged 13 miles. Due to the company’s troubles, it was not a total surprise that Uber was involved in a crash. But the details were shocking. The crash occurred during dry conditions and under a clear sky. There was no fog and little wind; therefore, weather was not an issue. Uber uses a combination of LIDAR, radar, and forward cameras to determine lane guidance and people/objects the vehicle is approaching. LIDAR, which uses lasers to determine distances, is the primary system for identifying pedestrians. In Uber’s released LIDAR feed, the vehicle detected downstream vehicles but not objects along the side of the road. Clearly, the pedestrian was in the frame and should have been visible. She was moving slowly and consistently in a straight line, not zig-zagging or doing anything that would confuse the computer. The computer software should have detected the passenger at least two full seconds before impact. The failure may not be limited to the LIDAR system. It could be a combination of LIDAR and radar or a processing error where the LIDAR and computer software were not communicating. Additionally, it is troubling that the vehicle’s automatic emergency braking (AEB) system did not stop the car. AEB is a Level 2 AV technology. It is available on many vehicles for sale today, including Ford, General Motors, Honda and Toyota. The fact that Uber was testing an automated vehicle that does not have the technology that today’s human-driven vehicles have, shows the rudimentary state of Uber’s automated vehicle program. The technology failure would not have caused a fatality if the back-up driver had been doing his job. But at the time of the accident, he was looking down, not out the windshield of the vehicle, for six or seven seconds. The driver was a convicted felon with a number of traffic citations. His driver’s license was revoked in the 1990’s and not restored until 14 years later. Being a backup driver is not an easy task, but Uber needs to review its hiring standards and its training. The failure also shows the challenge of a human needing to take control of Level 3 and 4 automated vehicles. In Level 3, the vehicle can drive itself and monitor its environment but the human driver must be able to take control at all times. Level 4 is more advanced, but the human driver may have to take control in certain environments. Both require the human driver to pay attention for long periods of time without doing anything. Human drivers are known to “zone out” driving conventional vehicles on rural Interstate highways. And folks routinely take their eyes off the wheel to check their cell phones. Companies testing AVs know that this “zone out” problem is real. As a result, most (such as Google) use two drivers to test vehicles. (Uber should review its policy of using only one driver to test vehicles.) If the “professional” drivers tune out during testing, is it safe for folks commuting to work to drive SAE Level 3 vehicles? Fortunately, most AV developers are more responsible. Google is focused on Level 5 vehicles, and most automakers are selling only Level 2 AVs, even though Level 3 technology is available. And AV manufacturers have other challenges. Automated vehicles still have trouble operating in rain and snow, which is why much of the testing is conducted in the deserts of California and Arizona. No AV is perfect at detecting pedestrians, and machines have a lot more to learn before they can predict human behavior, such as a human-driven vehicle ignoring a stop sign. These challenges make real-world testing all the more important. Uber’s failure makes it more challenging for the other manufacturers that are conducting testing responsibly. Arizona Governor Ducey took the correct action by suspending Uber’s permit to test in Arizona. It is not safe for Uber to test anywhere until it improves its AV software and possibly its hardware. However, I worry that other states will go beyond Arizona and eliminate on-road testing altogether. From the beginning, I have argued that AV technology is complicated and requires real-world testing. I’ve supported regulations as limited as possible to facilitate the development of AVs. Over the long term, AVs will reduce fatalities by up to 80%, saving many, many lives. As unfortunate as this accident is, it should not change our approach to testing. The country as a whole, and the large number of responsible companies, should not be held hostage due to one very bad actor. Data on 2017 traffic deaths were released in February by the National Safety Council. They showed a 1% decrease (to 40,100) from 2016 overall, but a report released in March by the Governors Highway Safety Association found that pedestrian deaths continued to increase, to an estimated nearly 6,000 for 2017, after a similar total was reached in 2016. Between 2007 and 2016, reports the National Highway Traffic Safety Administration (NHTSA), pedestrian deaths increased by 27%, while all other traffic deaths decreased by 14%. What is going on here? Cited as potential factors are the greatly increased use of mobile devices by both drivers and pedestrians. Kelly Blue Book auto analyst Rebecca Lindland told USA Today, “We’ve got distracted drivers, and we’ve got distracted pedestrians, and that is a deadly combination.” And yet, this kind of distraction is largely absent in official accident records, which are based on reports filed by the officers on scene. Most accident report forms include alcohol as a cause, but not cell-phone use, texting, or fiddling with dash-mounted infotainment systems. Some research is capturing such causal factors, however. The National Safety Council did a reassessment of 2015 fatal-accident data, and estimated that cell phone use was involved in 26% of all these accidents. A 2017 study by Cambridge Mobile Telematics estimated that one-fourth of drivers were using their phones just before or during a crash. And don’t forget hands-free phoning in a vehicle. Several laboratory studies have found that drivers get just as distracted during a hands-free phone conversation as in a hand-held one. Two recent studies—one by AT&T in 2016 and another in 2017 by AAA both found that two-thirds of drivers admit to using smartphones while driving. Drowsy driving is listed as the cause in only 1 to 2% of crashes in federal statistics, but the AAA Foundation for Traffic Safety found that 9.5% of all crashes involved drowsy driving, and 10.8% of all severe crashes. Last year AAA released the results of their study of dashboard distractions built into newer vehicles as another cause of driver distraction. This study was done by David Strayer of the University of Utah. 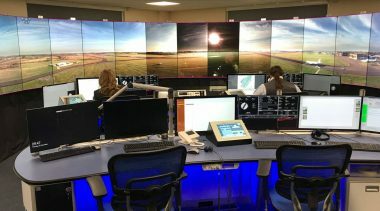 He told AP reporter Joan Lowy that this array of buttons and touch screens is “adding more and more layers of complexity and information at drivers’ fingertips,” which increases the time a driver spends looking at the displays and controls, rather than out the windshield. AAA’s director of traffic safety reported that in AAA tests of 30 different 2017 model year cars and light trucks, drivers took their eyes off the road and hands off the wheel when using these systems, especially when programming in-vehicle navigation systems and when texting. As a decades-ago member of the Society of Automotive Engineers, I think SAE has defaulted on its professional obligation to promulgate industry standards for in-dash equipment. These systems are hazardous and need to be redesigned to be far simpler to use; some should not be usable at all while the vehicle is in motion. Likewise, the mobile device industry should do a better job of offering and promoting systems that limit their operation while in motion. In 2009, during President Obama’s first year in office, during the depths of the recession, the political appointees at US Department of Transportation (DOT) were tasked with creating a stimulus program. It was intended to be merit-based and was targeted at struggling regions of the country. Since the program’s focus was economic, the department called it the Transportation Investments Generating Economic Recovery (TIGER) Program. Nine years later with a booming economy, the White House recently released another round of grants. Yet despite being politically popular, the program has been heavily criticized. There are a number of problems with the TIGER grants, and program review agencies such as the Government Accountability Office (GAO), the Congressional Budget Office (CBO), and the DOT Office of Inspector General (OIG) keep finding more. In its latest report, OIG finds raises serious questions about TIGER’s benefit-cost analysis process. Specifically, while reviews met federal guidance, individual reviewers’ approaches differed significantly. Reviews did not include standardized elements such as what information applicants can verbally communicate to DOT after the original written applications failed to include such information. There is no policy for retaining benefit/cost analysis notes, so some reviewer notes are discarded, making external auditing difficult. OIG reviewed 47 projects and found that the department’s claim that 20 had a negative (less than 1.0) benefit-cost analysis (BCA) was questionable at best, and likely erroneous. Despite DOT evaluation team’s negative BCA, DOT’s control and calibration team advanced these 20 projects to the Secretary as eligible for funding. Therefore, while the initial evaluation team made mistakes, the DOT control and calibration team sought to rescue these projects that may have been mistakenly down-graded. The problem was that during this “review” process that deemed these projects eligible, there was a complete lack of documentation. So we don’t know why these projects were advanced and if the process itself differed from project to project. It’s entirely possible these deserving projects were advanced due to dumb luck. OIG made four recommendations to DOT. Provide detailed guidance for consistent BCA reviews. Establish requirements for how BCA reviewers document their processes. Define the control and calibration team’s role in the process. The review policy must include a standardized BCA template. Since the program’s inception there have been nearly a dozen critical reviews from government agencies and think tanks. One or two critical reviews of a government program is pretty standard, but nearly a dozen indicates a structural problem. After President Trump was elected, he pledged to end the TIGER Program, based on criticism of the program. The White House submitted a 2018 budget that zeroed out TIGER funding. Yet, Congress took a different approach. Rather than killing it, the FY 2018-2019 Omnibus bill tripled its funding, from $500 million to $1.5 billion. One reason TIGER continues is its broad-based support in Congress, particularly the Senate. Under the Obama Administration, the program was used to fund multimodal transit stations and recreational trails. However, under President Trump the focus has shifted to roadway projects. But that won’t change the program’s popularity because the funding is perceived by local governments as “free money”. Proponents often tout that the program is oversubscribed because it draws a “crowd”; there is 10 times as much money requested by project sponsors as DOT has funds available. However, if somebody was out on a street corner giving away free money, that would also draw a crowd. And that is an apt description for the program, because with its lack of rigor, it’s basically free money for the politically connected. I don’t oppose discretionary programs in principle. The George W. Bush Administration created the Urban Partnership Agreement (UPA) and Congestion Reduction Demonstration (CRD) grant programs that awarded money for implementing congestion pricing and parking pricing. The program had a multimodal focus, improving mobility by car and bus. And it had detailed quantitative metrics that grantees had to meet. Unfortunately, political calculations, not sound transportation policy, are the cornerstone of the TIGER program. Rather than trying to reform TIGER, DOT should replace it with a better discretionary program. It could be the Infrastructure for Rebuilding America (INFRA) Program, assuming minor changes are made, or something new. First, focus the funding on national transportation modes. Cycling trails and transit are not national modes and should not be funded. Highway, rail and maritime are national modes. (Aviation is national as well but is covered by different programs.) The Trump Administration has shifted the focus of TIGER to highways, but most of the road projects funded are local in nature. Second, ensure that projects focus on transportation. The Obama Administration loved to give transport money to environmental or economic development projects. To the extent those programs are federal and necessary they should be funded by another cabinet department, such as the Environmental Projection Agency (EPA) or the Department of Housing and Urban Development (HUD). Third, develop a rigorous review process with quantitative metrics. Sponsors should not merely claim the project would relieve congestion; they should quantify the decrease in severity or hours. Sponsors should not claim the project would improve safety; they should state how many lives will be saved over what time frame. DOT would then post its reviews of the applications on its website, so project sponsors could see how they compare to other projects. While DOT political officials will make the final decisions, there should not be a politically-oriented review team to make recommendations. With the TIGER Program, the review team was the entity responsible for approving poor projects for funding due to politics. Finally, DOT needs to review the new discretionary grant process after it awards grants. Transportation specialists not involved in the initial process should analyze the program’s weaknesses, strengths, and ways to improve it. This lack of an honest review process is one of TIGER’s the biggest problems. I am not confident that a high-quality discretionary grant program can be created in today’s political environment. It would be easier to end discretionary grants entirely and roll the money into formula programs for interstate transportation. However, if politicians insist on a discretionary grant process, the above recommendations provide a roadmap. Bryan Grote of Mercator Advisors—my go-to expert on TIFIA—emailed me about last month’s article on the leveraging of federal transportation dollars made possible via TIFIA loans. I had used numbers on total TIFIA loan volume, the amount of federal dollars scored for each, and the total cost of the projects TIFIA helped finance (as reported by Jeff Davis in Eno Transportation Weekly) to yield a 57 to 1 leverage ratio. Bryan did not dispute that calculation, but added some additional perspective. He noted that the sources of funds that states used for those projects include federal highway or transit grants totaling $12.2 billion over that same time period. Including those federal dollars in the calculation reduces the federal leveraging to 7.7 to 1 ($108 billion project costs vs. $14.1 billion federal money). He also noted that federal dollars usually constitute a higher share of the total for transit projects, due to FTA New Starts grants. This is a valid way to look at federal leverage of TIFIA overall. But there is still some validity to the original 57 to 1 calculation. Those federal grant programs for highway and transit projects would be there whether or not TIFIA existed. Adding TIFIA to the mix means that a few more federal dollars generate far more project investment than a few more dollars added to the grant programs. 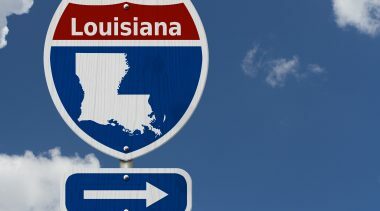 Louisiana Interested in Toll-Financed Interstate Modernization. If Congress lifts the federal ban on Interstate tolling, Gov. John Bel Edwards announced on March 27th that Louisiana would consider doing so. He said tolls could finance reconstruction as well as any needed widening. Louisiana DOT Secretary Shawn Wilson said he would explore using a P3 procurement in which the private sector would provide the financing up-front, using the toll revenues to pay debt service and the operating and maintenance costs. Transurban Expands into Canada. Australia’s largest toll road company, which has express toll lane projects in operation in northern Virginia, has agreed to buy the A25 toll road and bridge concession in Montreal. The project was developed by Macquarie, Kiewit, and Parsons under a 35-year DBFOM concession agreement, which expires in 2042. The A25 opened to traffic in 2011. Transurban agreed to pay $650 million for the remaining 24 years of the concession period; the transaction is set to close in the fourth quarter of this year, following regulatory approval. Multi-State Truck MBUF Pilot on I-95. The I-95 Corridor Coalition is partnering with Delaware DOT to carry out a six-month (Phase 1) pilot project testing mileage-based user fees on I-95. Trucking management software company EROAD will work with companies operating 50 trucks that will experience simulated per-mile charges. EROAD says it will demonstrate a flexible and cost-effective way to charge road use fees “without needing an intrusive and expensive roadside infrastructure, while also reducing the reporting burden on motor carriers.” Phase 2 of the pilot project will involve up to 400 trucks and expand to include I-95 in Pennsylvania. Autonomous Vehicle Policy Guide. 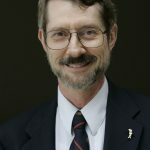 On March 29th Reason Foundation released “Autonomous Vehicles: A Guide for Policymakers.” The author is Assistant Director of Transportation Policy, Baruch Feigenbaum, who has two articles in this newsletter. Go to: https://reason.org/policy-study/autonomous-vehicles-a-guide-for-policymakers. Cline Avenue Bridge Will Open by 2020. United Bridge Partners has begun construction work on a $140 million private toll bridge in East Chicago, IN. The bridge replaces one that was shut down as deficient in 2009. The new Cline Avenue Bridge will be two lanes, like the original bridge, but can be expanded to four lanes if and when traffic increases to need that much capacity. Its 6,000-ft. span will take Cline Avenue across the Indiana Harbor & Ship Canal. Toll revenues are the project’s financing source. Self-Driving Truck Lanes Suggested by DOT Official. U.S. DOT Undersecretary for Policy Derek Kan suggested that either of two competitive funding programs in the White House infrastructure plan might support building dedicated lanes for autonomous truck operations. The programs Kan referred to are Infrastructure Incentives and Transformative Projects. Kan made the comments in a conference at the Brookings Institution. Swiss Company Plans Underground Cargo Network. A start-up company is raising money to develop what it says will be a purely private automated freight shuttle system, to be located underground rather than on the surface of Switzerland’s mountainous terrain. Cargo sous terrain (CST) plans to develop the first, $3.7 billion, segment by 2025. It has secured start-up funds from both Meridiam and Hyperloop 1. The first segment’s 66.7 km tunnel will connect 10 cargo stations between Zürich and Härkingen-Niederbipp. The concept originated with retailers and logistics firms concerned that existing cargo infrastructure could not feasibly be expanded. New Electronic Tolling for Pocahontas Parkway. Spanish toll company Globalvia recently acquired the concession for the Pocahontas Parkway in Virginia. In March it announced a contract with A-to-Be, the technology division of BRISA, the privatized tollway company in Portugal. A-to-Be is also providing new tolling systems to the Illinois State Toll Highway Authority. Seattle Tunnel to Open This Year. The $3.2 billion, double-deck tunnel that will replace the aging SR 99 Viaduct is expected to open to traffic this fall. A March 24th meeting of the State Transportation Commission explained the three remaining steps: finish the tunnel walls and roadway decks, install and test systems such as ventilation and fire suppression, and reorient the connecting roadways to permit the Viaduct to be closed and torn down. The Commission is still reviewing the results of tolling studies to finalize the toll rates to be charged. Boomers Not Retiring Downtown, Census Finds. Census Bureau data released in March show that the Baby Boom generation is not generally down-sizing to apartments or condos downtown. Rather, they are migrating to suburban homes, either in the metro area where they have lived or especially to retirement meccas such as Naples, FL, Jackson,WY, and Coeur d’Alene, ID. As a Wall Street Journal article on the report explained, “Suburbs are drawing more Americans, who are being priced out of expensive urban cores, and [also] pulling in millennials and younger members of Generation X who are settling down to start families or have more children.” Welcome to the New Suburbanism. P3 Tunnels Win Major Awards. Two tunnel mega-projects—both done as DBFOM toll concessions—have won awards as projects of the year. Engineering News Record‘s award for the best highway/bridge project of 2017 went to the Elizabeth River Tunnels project in Virginia, developed by Macquarie and Skanska. And across the Atlantic, the International Road Federation gave its Global Road Achievement Award to the Eurasia Tunnel linking Europe to Asia, beneath the Bosporus strait in Turkey. Revised P3 Evaluation Tool from Build America Bureau. The U.S. DOT’s Build America Bureau last month released an enhanced version of its P3-Value tool for assessing a proposed P3 project’s value-for-money. The tool is called P3-Value 2.1. DOT is hosting a series of webinars on using the tool; details are available from Jennifer Brickett at AASHTO: jbrickett@aashto.org. New Issues of Transportation Research Record. The Transportation Research Board has published two new issues of its journal which may be of interest to readers of this newsletter. TRR 2606 contains 15 papers dealing with revenue, finance, pricing, and economics. And TRR 2616 on freeway operations includes papers on managed lanes, ramp metering, geometric design, and related subjects. Both can be ordered via the TRB website.